It really doesn't seem so long ago that I was reviewing Aeon Zen's previous album 'Enigma' but incredibly, that was very nearly two years ago! I'm actually late with this review as 'Ephemera' was released last September but time got the better of me! 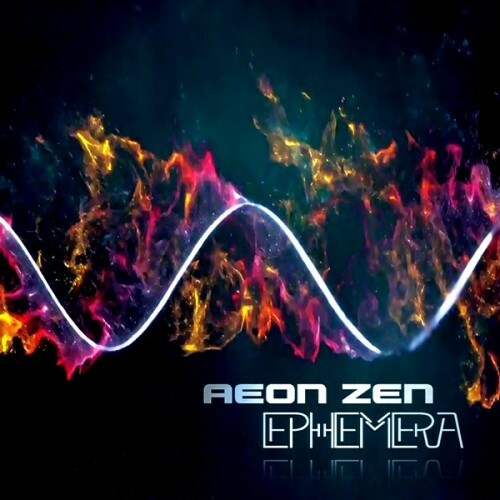 'Ephemera' is the fourth album from Aeon Zen and, like their last effort, if beautiful, intricate, almost effortless Progressive Metal is your thing then this album is going to be an absolute must because it is forty minutes of sheer ingenuity and brilliance! Fans of Symphony X, Devin Townsend Project, Scar Symmetry, Threshold, Dream Theater and Pagan's Mind should be utterly blown away by what Rich Hinks and his bandmates have achieved! Rich is one of those people that make you sick with envy. Multi-instrumentalist, singer, lyricist, songwriter, producer and expert with a kitchen sink, he just exudes quality and Aeon Zen have fast become one of my favourite Progressive Metal bands. 'Ephemera' is arguably Aeon Zen's darkest, most complicated and brooding album but the band still manage to make every song hugely memorable and catchy. Like 'Enigma', it may take a few listens to take it all in, but when it clicks you'll be humming these tunes without realising ! Joining Hinks this time, alongside the wonderful second vocalist Andi Kravljaca and the eight pairs of hands and feet that drummer Steve Burton seems to possess are the absolutely mind boggling talents of new guitarist Alistair Bell and new keyboardist Tom Green. You really wouldn't know there had been a change though because it sounds completely seamless but, if anything, this new pairing have elevated Aeon Zen's sound even further. That's quite a statement, however, Bell's guitar work is simply staggering! Interplay between clean and harsh vocals is spot on and thanks to Hinks' spectacular production every instrument is as clear as a pin dropping. All nine tracks (there is a bonus song on the CD version), from the opening refrains of 'The Entity' and then 'Soul Machine' (which could have come from the mind of Devin Townsend himself) right through to the closing and masterful 'The Space You Wanted', have me in various states of rapture and ecstasy! 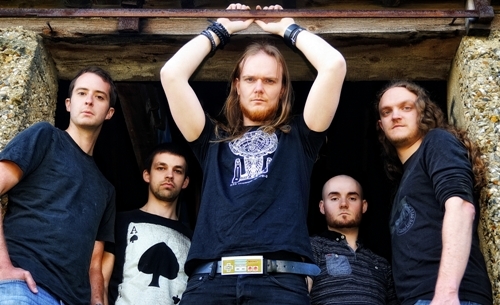 Personally, I think Aeon Zen have this uncanny ability to be hugely intricate WITHOUT sacrificing emotion and feel, something I cannot say about all Progressive Metal bands. Even though they can be pretty heavy and in your face there is an enchanting fluidity to proceedings, like water flowing down a stream. An odd analogy perhaps, but what is music if it isn't there to create an image within the listener? 'Ephemera' is yet another album that would have graced my end of year 'Top Albums' list, had I managed to review it in time. With that in mind I'm just off to kick myself up the backside for not doing so before playing it again!